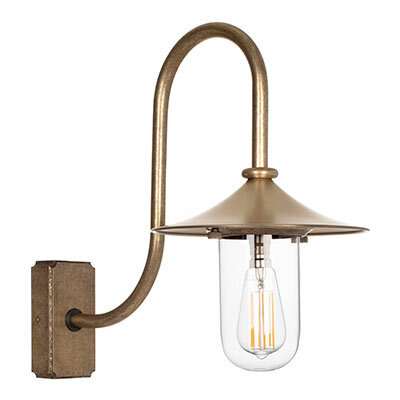 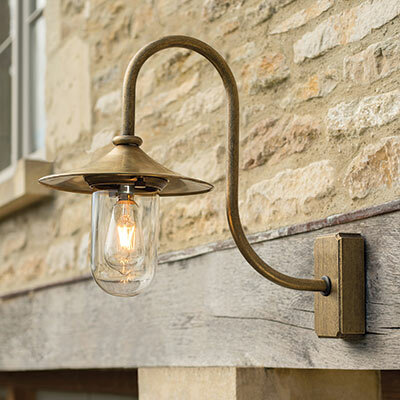 Bring a creative touch to your garden by using our striking brass outdoor Granary Wall Light as part of your outdoor lighting scheme. Hand crafted from solid, natural brass, the Granary has a weighty solid appearance that can only be achieved by the very best metalsmiths working by hand. 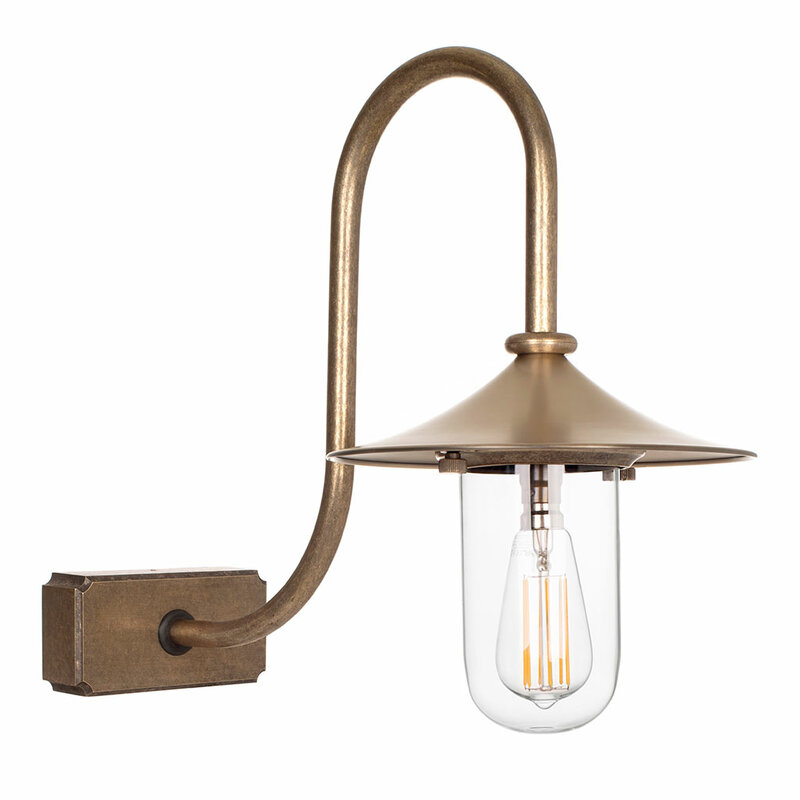 The Granary is a reimagined version of our popular Stable Wall Light with the addition of a ‘Coolie style’ brass cap and high arching swan neck to give it a more traditional look. 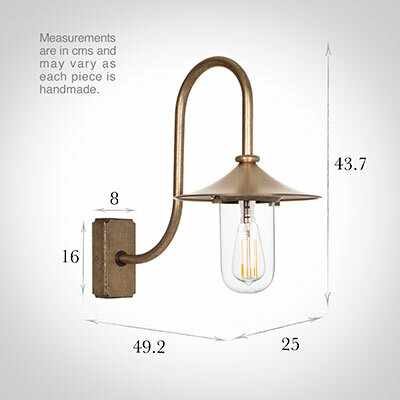 It has a rectangular backplate that can be fixed vertically or horizontally, which, together with its high arching arm, means it is particularly well suited to hang above a door or gateway. 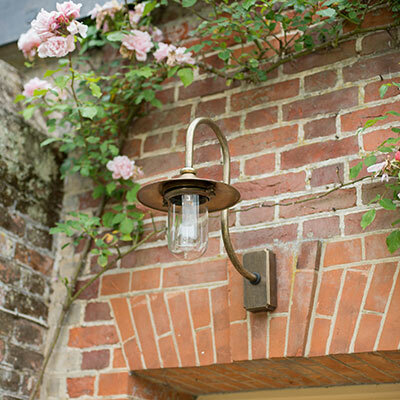 Having worked very hard over the past 20 years to build up an international reputation for producing elegant, high quality lighting, we at Jim Lawrence feel our Granary Lantern really encapsulates our passion for stunning, period look garden lighting. 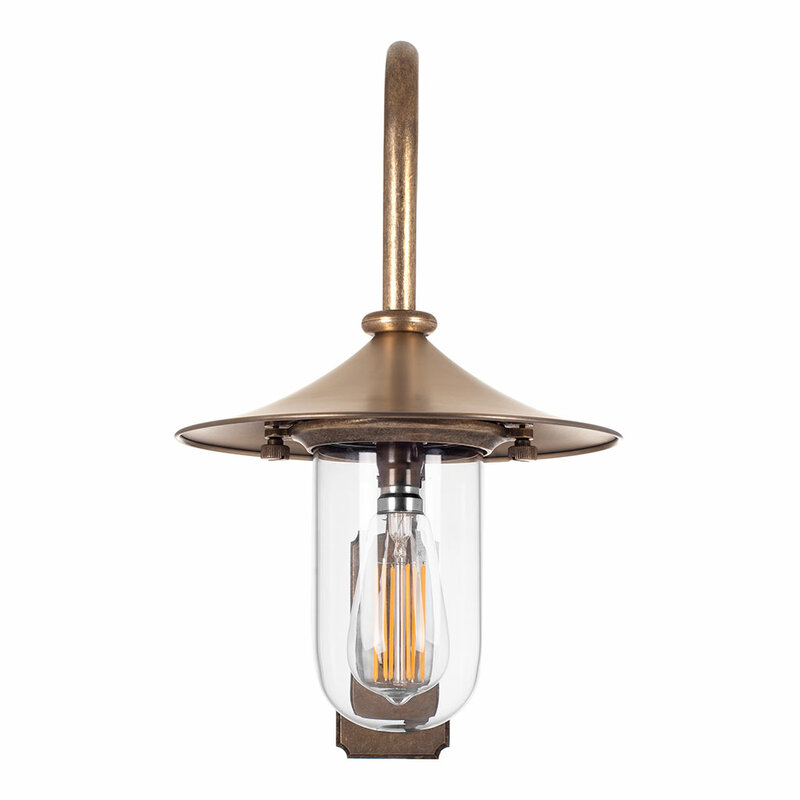 All our lights are made using traditional brass working techniques and are hand finished to the very highest standards here at our Suffolk workshop. The details of the design highlights the skill of our metal workers and their ability to make products that suit both contemporary and period properties. The Granary has been finished in lightly antiqued brass which is created by treating solid brass with antiquing solution to speed up the natural tarnishing process and produce a lovely aged look that will darken naturally over time. To lighten the brass, just buff it occasionally with a small amount of brass cleaner to return it to its original hue. 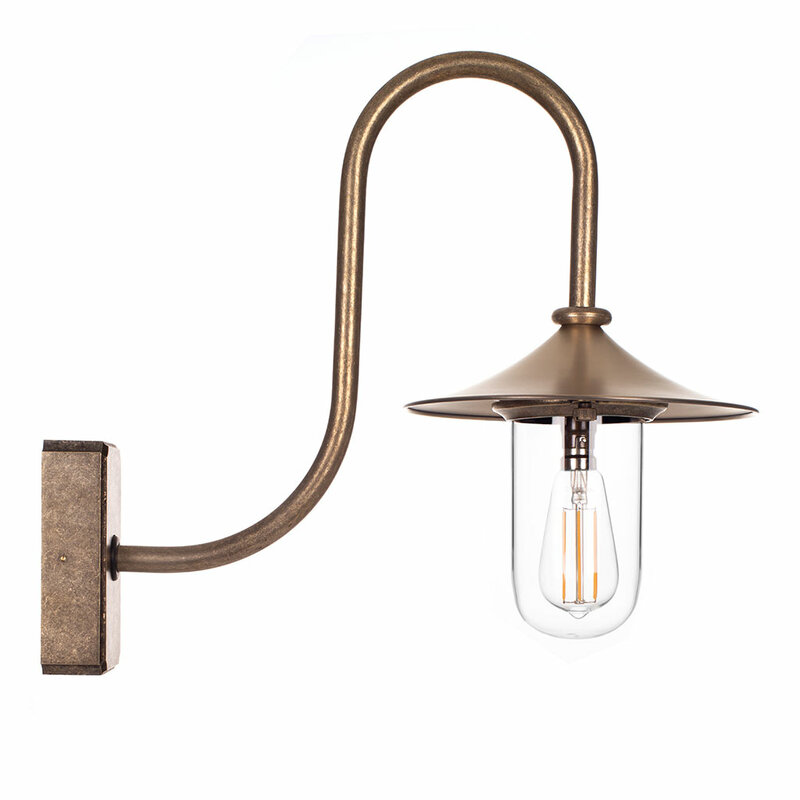 To find out more about our finishes, please read our product finish page. Bulb Fitting Options: can be supplied with an E14 (small Edison screw) bulb holder for Europe on request. This light really is a fin example of the JL products. 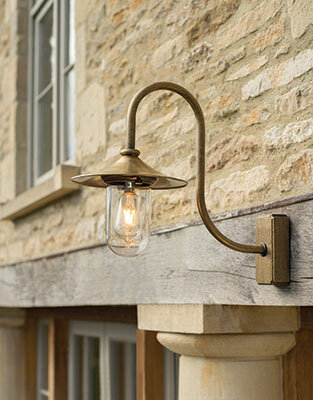 We have bought before and this light is a truly wonderful and looks perfect on the side of our garage.